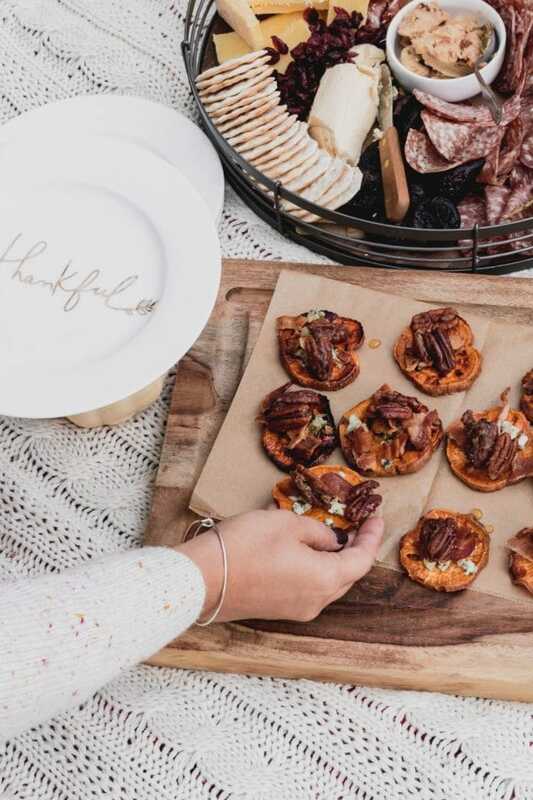 Let me help take the stress out of hosting with these tips for hosting an outdoor Friendsgiving! 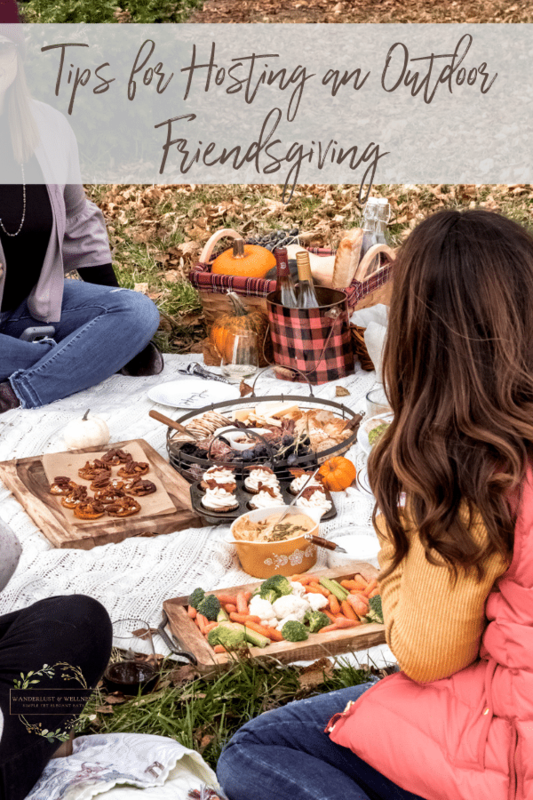 Hosting a holiday dinner can be stressful, even something that’s supposed to be fun like a Friendsgiving, but today I’m sharing a few tips on how to reduce the stress and create a low-key outdoor Friendsgiving you can enjoy. The joy of Friendsgiving is that there are no rules. You can make it as casual or as formal as you’d like. For those of you that are not familiar with Friendsgiving, it’s traditionally an informal meal with friends around the time of Thanksgiving. The idea is to gather with friends, as opposed to the traditional family dinner on Thanksgiving, and celebrate friendship. Typically, the host provides the main dish, and the guests bring the rest, much like a potluck. 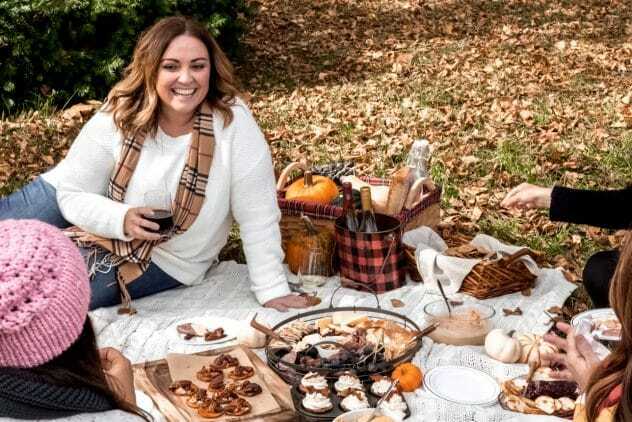 This year, I wanted to host something a little more non-traditional and celebrate friendship with my girlfriends with an outdoor Friendsgiving picnic! 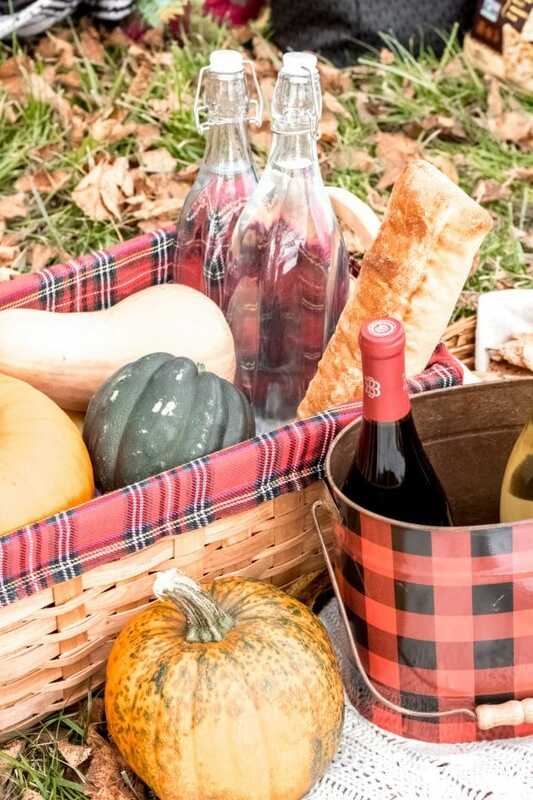 Here are a few tips for hosting an outdoor Friendsgiving. Location is key, so finding a cute spot with all the Autumn feels is important. You could host your Friendsgiving in your backyard, at a local park, or any outdoor setting that offers up beautiful scenery. For this event, I wanted outdoors with big open spaces and beautiful Autumn leaves so I chose a local city museum that has gorgeous well-manicured grounds around it. 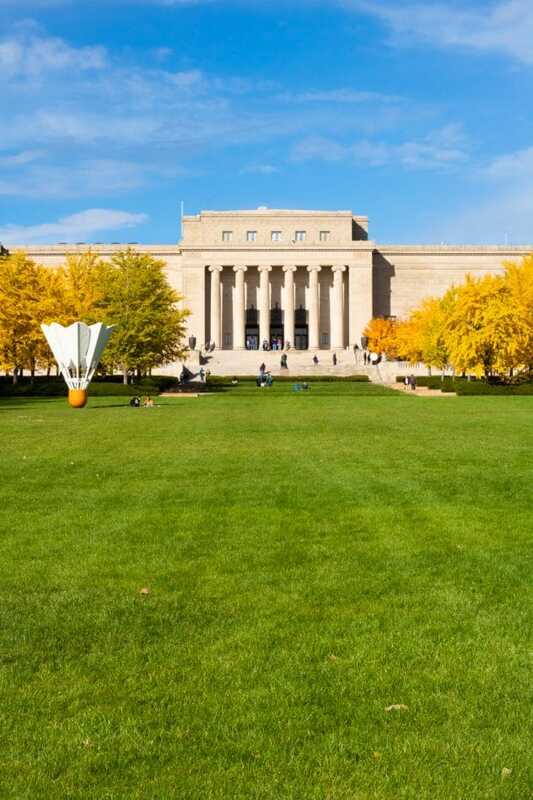 The Nelson-Atkins Museum in Kansas City, Missouri was the perfect spot, with its big open lawn surrounded by lush trees in full Autumn colors. Also, depending on where you live, the weather could be iffy in November. We were blessed with a beautiful day. Had it been a few days later it would have been cold and rainy, so have a Plan B in case the weather decides not to cooperate. Friendsgiving should be low-key and stress-free! Plan your menu with simple things, like charcuterie boards and appetizers. Decide what you want to bring and then either assign your guests specific items or give them a theme. This part is important, otherwise, you may end up with multiple bags of chips and dip. For this event, I asked the guests to bring a Thanksgiving inspired appetizer. This option left it open enough for them to choose what they’d like while also keeping to a Thanksgiving theme. We also shared what we were bringing a few weeks prior, that way there was no overlap, and we had a nice variety. Remember, LOW-STRESS! One of my friends cannot have gluten, so of course, I wanted to make sure there were plenty of gluten-free options. 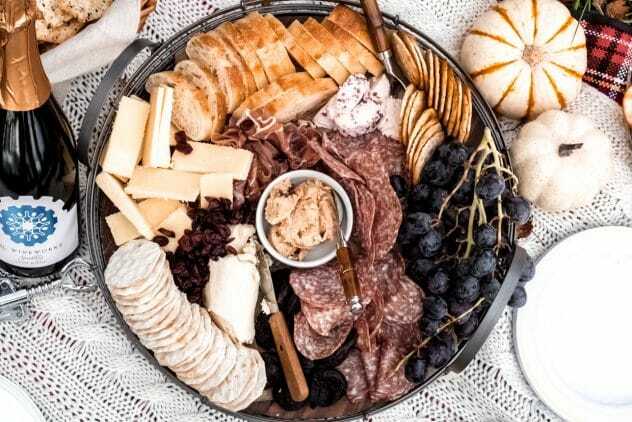 A charcuterie board is a great way to offer gluten-free foods with plenty of flavors! We also had a special gluten-free basket full of gluten-free crackers and chips, along with gluten-free hummus dips. I have a severe nut-allergy to all nuts except for pecans and asked that items be nut-free. It’s important to make sure your guests with special dietary needs don’t feel excluded. 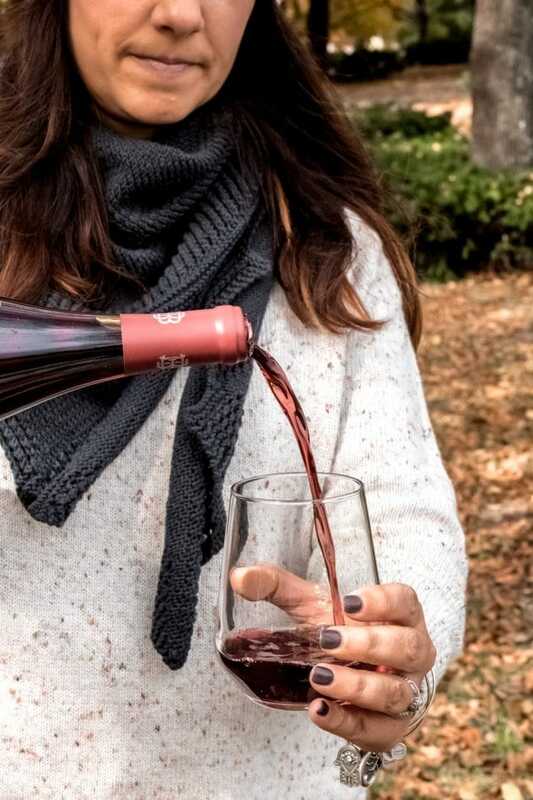 Okay, maybe not if wine isn’t your thing, but what’s a Friendsgiving without wine?!? Decide if you want to supply the wine or if you’d like for your guests to bring the wine. For this event, I offered two dry wine options and invited the guests to bring their own if they preferred something different. I brought along two large bottles of water as well in case someone wanted to drink something other than wine. 5. Most importantly, have fun!! Remember Friendsgiving is about celebrating friendship. I’m blessed with the ladies in my life, and I wanted to host a day to celebrate them! There’s enough stress this time of year, keep your Friendsgiving stress-free and fun. Don’t overwhelm yourself with trying to host an Instagram-worthy event! Gather with your friends, sip on some wine, and enjoy your time together. 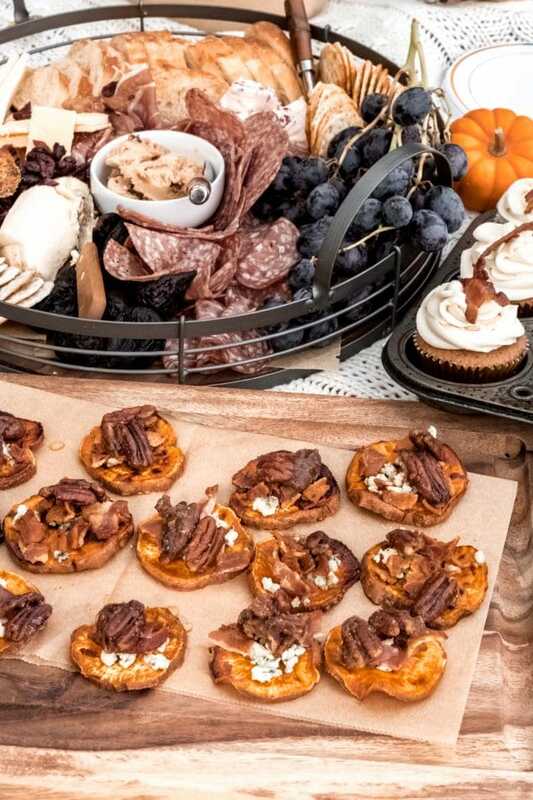 Will you be hosting a Friendsgiving celebration this year? Tell me in the comments, or come on over to Instagram and share with me there!